Rodin - TripImprover - Get More out of Your Museum Visits! 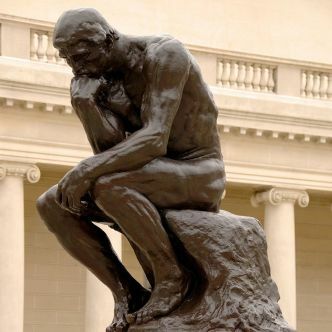 Who is Rodin? François Auguste René Rodin was born in 1840 in Paris, where he died 77 years later in 1917. He was rejected three times by the leading art school in Paris, the École des Beaux-Arts. It forced him to educate himself differently and this has contributed to his unique style. He was inspired by some of the great Renaissance sculptors like Donatello and Michelangelo. Most of his famous sculptures were originally intended for his commission of The Gates of Hell. Over time, he realized that he could turn many elements of The Gates of Hell into separate statues and some of these statues have achieved world fame. Many of Rodin’s statues have been cast multiple times in bronze which means that his statues have spread across the world.